Did a Wonderful Job Winning My Daughters Case! He’s a Lion. That’s What You Want in a Divorce Case! An absolute All-star and Professional! Ron settled my divorce case and I could not have been more satisfied. My ex and I had pretty much settled our case with one invaluable exception, the dog. After she broke our agreement and refused to give him back to me I spoke to multiple attorneys. Every single one of them basically said “Why don’t you just get another dog?” Until I met Ron. Ron understood exactly where I was coming from and sincerely cared that I get my dog back. The minute I hired him I felt like he truly cared about me and my situation. He was not just looking to settle the case, he was looking out for my best interest in getting the case settled. He was also realistic and told me he could not guarantee I would get my dog. He said based on the facts he felt I should, but he explained the process. It was not exactly what I wanted to hear, but he was honest and that was more important than an empty promise. I knew what to expect and that was very fair of him. From years of experience Ron knew time was of the essence and he got the process started as quickly as he could. His team was amazing at letting me know how the process worked, where we were and what to expect next. One of the reasons I felt so comfortable in the process was because of Ron’s attentiveness. He listened to everything I had to say about the situation. He explained to me what was pertinent, what was not and explained why. He came up with some ideas on how to approach the situation and was willing to let me tell him what I was and was not comfortable with in regards to those ideas. Ron’s experience makes him very familiar with opposing attorney’s and judges which is another fantastic asset. He knew the attorney my ex hired, even though she was from another county, which I thought was beneficial. He kept me informed of their conversations and always made sure I knew exactly where things stood. Of the many, many strengths Ron possesses, I feel like his biggest strength is in the courtroom. I cannot imagine not having him on my side after seeing him in action and I would never want to see him on the opposing side. When Ron walks into court you can just feel how respected he is by everyone. The judges, the courtroom employees and the other attorneys all show Ron a great deal of respect. People went out of their way to say hello to Ron and he just seemed at home in the courtroom. The first time we were in court things got tense between my ex and me. Ron was very quick to come to my defense and call my ex out to her and her attorney when she made a decision out of spite towards me. Because it was such an overwhelming and emotional situation it really put me at ease when he stepped up on my behalf. When it came to the actual hearing Ron was at his absolute best. Because I had never been in court before he made sure I knew exactly what to expect. I felt much more at ease because of his help. He knew exactly what facts we needed to get across to the judge and made sure they were presented and supported. He was quick to get objections every time the opposing attorney and my ex made unreasonable remarks (like when she claimed to be able to know what the dog was thinking.) When the judge ruled in my favor I did not feel like Ron’s client. He was truly happy that I was going to get my dog back. When my ex and her attorney made snide comments he once again was quick to jump to my side. What happened after the case solidified my beliefs of just how sincere Ron and his team were about my case. The night of the hearing I received a call from Ron asking if my dog was home and how he was doing. The case was over, we won. But he went out of way to check in on us and that made me feel like I was not just another client, he really cared. you, during a divorce. However, this wasn’t the case at all in my situation. You KNOW You Are in Good Hands with Ron! My husband and I have relied on Ronald Bell for over a year now. 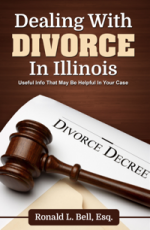 Everything from family court, divorce to misdemeanors. Ron drew up our power of attorney papers quickly and painlessly. Ron and his wife Doreen have always treated us like family. This is a law firm you can count on. They take the stress off of you because you KNOW you are in good hands. Thank You! In Ron I Trust! After 2 lawyers dropped my case with numerous delays, Attorney Ronald Bell was able to promptly bring it back on the grid. And he remains mindful to successfully bring my case to conclusion. Mr. Bell genuinely cares and protects my interests as if I were a family member. Attorney Bell is an elite, practicing with exceptional knowledge and abilities making him “the reference” in the field. ~ Suzanne, September, 2015. Professional and Compassionate- the best! I just wanted to take a minute to thank you for your help with my case. I’m glad I chose the right lawyer. Very appreciative to come across you and get everything for my dui dropped!! Truly amazed and blessed. ~ Kyle, September 2015. Loud and mean and combative does not equate to a better lawyer, outcome or to Ron Bell’s style. Ron Bell is about settling your case for and with the benefits of the children first, you second as I feel it should be. Understand, though Ron is far from a push over, I would not want to be on the opposing side that played unfair or dirty against him. My case is unique for my custody case dealt with a special needs child that has a profound cognitive deficit along with medical issues. However, I felt as well as Ron that the preponderance of evidence was in my favor to be awarded the vast majority of visitation, even sole custody, Ron looked at the bigger long-term picture and tried hard to facilitate a fair, and equitable settlement for all that would best suit my special child. Even with a loud, egotistical and arrogant IMHO opposing attorney, Ron handled himself professionally, though threw and connected his punches when appropriate and stifled me when I went off on the opposing attorney (he, the opposing attorney deserved it). Most important to you regarding this review is I walked away with the vast majority of time with my child, eliminated all the financial issues and can meet with my gods knowing it was handled properly. Ron never lost any of the battles and won the case hands down. The next most important consideration, fees! Ron’s bill for handling the last 5 months of this 9-month case was less than two other lawyers with room to spare. Ron only bills for time worked on the case and Ron took my calls 24×7, and I mean this. He or his office would return my calls and texts in minutes or hours and even sooner, when I said it was an emergency. I know most other lawyers would have billed me 50,000 or more while my total bill was a fraction of this amount. Ron attended four way meetings, status calls, hearings, time with witnesses and numerous face-to-face meetings with me as well as several calls. Bottom line I still receive texts and calls from Ron and his office just asking how things are going. I know they sincerely care. Living in Texas, we had a situation that involved a paternity claim against a person who was now living in Illinois. To complicate matters, the person died during the middle of the process. What resulted was a complete stop to the numerous transactions and communication between the offices of the Atty General for both Texas and Illinois as well as social security paperwork that was in process. We contacted several local lawyers in Texas that didn’t know what to do and could not help. Fortunately, we were able to find Ron Bell via an internet search. Flying blind, we only had his impeccable credentials to put our trust in. Result: Our case was handled with the utmost professionalism and we were continually updated on the status of the case. Despite the complexity of our case, it was resolved remarkably fast with what we thought and felt was a very fair and extremely satisfactory outcome for everyone involved. Not only does Ron know his business, but he knows many in the business and his professional network is remarkable. I never write these but this will come easy for me. Ron is by far the wisest and brightest attorney I’ve ever had the good fortune to have found. My divorce was full of complex issues from the start over a year and half ago. From major property division, business, 401k’s, college for children, crazy allegations, and support…the list went on. Ron took the bull by the horns and orchestrated my case like a master conductor. I was arrested and charged with a D.U.I. while sitting outside my house having a beer with my car keys at my side!! I was also charged with two other offenses. Ron knew this was so wrong!! He knew this would be a hard battle to win because of a fourteen year old D.U.I., but took my case. He was up front and honest from the get go. He did a great job of preparing me and our witness for trial. He told me exactly what to expect and did not hold back or sugar coat anything! Which was scary, but I needed to hear it. He always called me back and would come to the phone when I called. His staff is great too. He is an aggressive attorney that gets the job done. I enjoyed his passion & he was 100% a professional. If you want to work with an attorney that really cares and is passionate about your case (& takes your calls) and he has a high success rate of wins too, then Ron Bell is the one for you. A friend found him on the web and then forwarded me his firm’s web-site — that is how I became a client and I thank her every day. I will never use another attorney. I just want to say that Ron handled my contract case in an exceptionally professional manner. An equipment company said they were losing money on the deal and refused to finish the work. We were able to get the opposing party to make good on their promise to install equipment at my business. One of Ron’s greatest gifts is his ability to think outside the box and get things done in a creative way. He was able to use an innovative approach to the case that took the other side totally off balance. Ron is an easy going person that is very well though out. He knows what he’s going to do when he walks into court and takes control. Want Ron for My Attorney for Life!